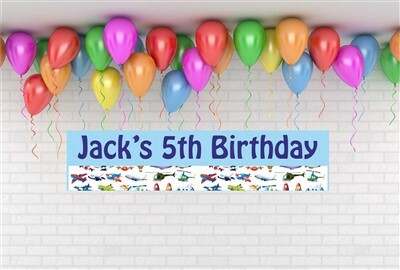 Our fabulous personalised large banners are printed on superior quality banner paper and are now available in two sizes: 21 x 90cm or a deeper banner measuring 29.7cm x 90cm. ? To select your choice of design, click on it, please double check your order confirmation that you have made the correct selection.